Should still be milk, right? But noooooo….. see, I can’t do a lot of dairy. Without getting truly disgusting and providing way too much information, dairy products don’t agree with me much. It’s called being “Lactose Intolerant” – and you’d be amazed at the products that have milk in them. But, there’s this fabulous thing called “lactose free milk” that has truly been a godsend for me and millions of others like me. And those around us if we consume lactose-ed milk. 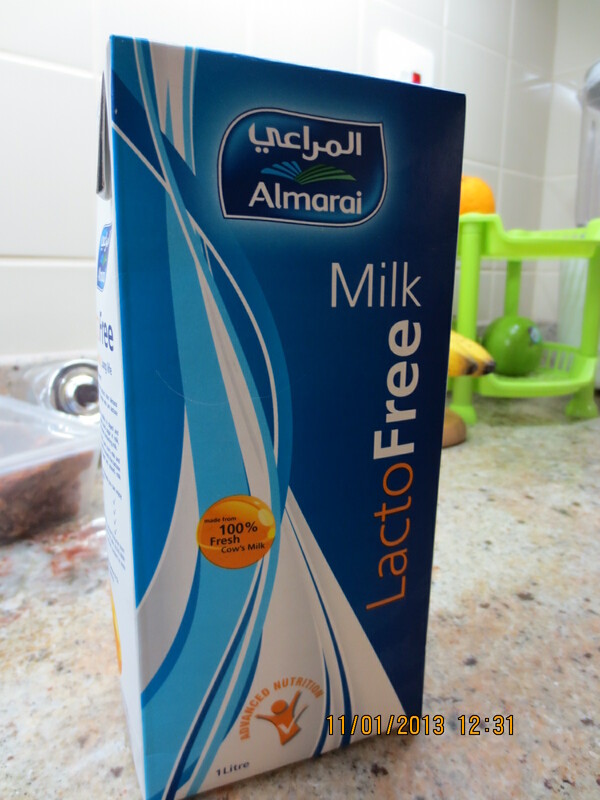 So, anyway, before I got here, TBG had been hunting for lactose-free milk for me…. Hadn’t found any and had laid in a store of those tablets you’re supposed to take BEFORE you consume dairy stuff. Yes, even though I had explained to him that we’d tried those, multiple kinds and multiple times, with zero results. So, when I got here, I was still hoping to find some, thinking that perhaps he’d simply overlooked it. Yes! There’s some!! Oh wait…. That’s rice milk. And that lactose-free one right next to it? Soymilk. And almond milk. And sesame milk. Hazelnut milk, coconut milk, goats milk and camel milk. CAMEL MILK?? OK, my brain went a little haywire on that one – imagine the camel-milking dairy workers there…. “yeah honey, I had this tough old gal today, that camel didn’t want to give up any milk, but lemme tell you what…..” so it has been a bit freaky inside my brain shopping for lactose-free milk here. But guess what I finally found??? Yup, shelf-stable lactose free milk. Definitely not low-or fat-free, but I can drink it, and it lasts about forever on the shelf! Pretty cool, huh? This is a square liter container… just a bit over a quart, if I remember my US/Metric conversions correctly. But feel free to wonder right along with me at the closure here……. Hmmm…. Interesting looking. The first one of these I encountered, I pushed, pulled, poked, slid, tried to pry up the white bar thing, snapped it right off. 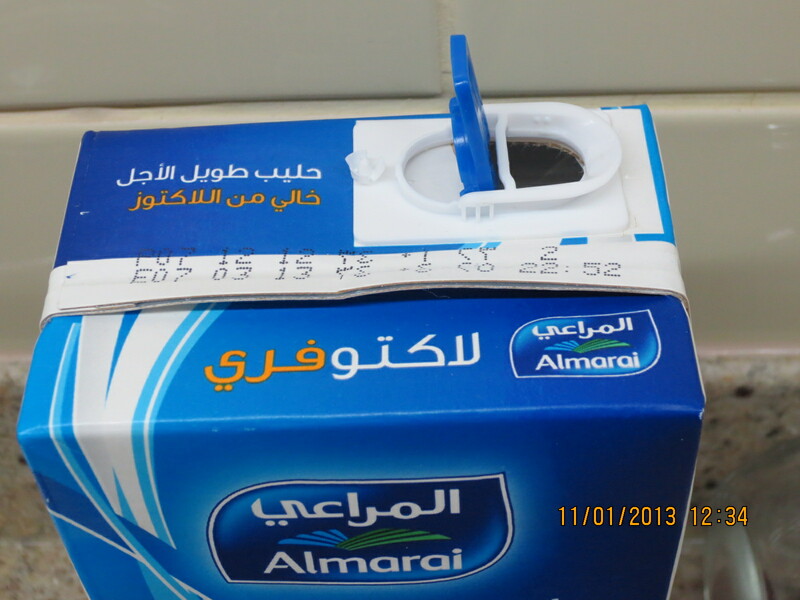 So, I ended up pushing the blue tab dealie right down into the milk. Yeah, go ahead and laugh. You *know* you have done the exact same thing with a wine-bottle cork before….. sheesh. Anyhow, I took a closer look at it……..
AAAAhhhhhhh……. Looky here! It says “lift” right there, molded right into the plastic. Guess what happens if you just lift that little tab up?? Ha! Listen, I’ve yet to meet a milk container that can get the best of me! But this one gave it a try! 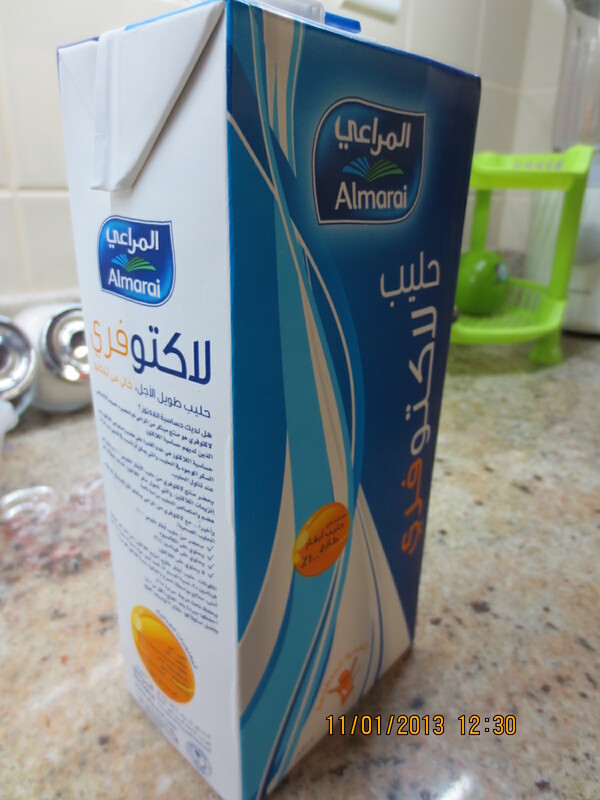 For those interested in the costs of things here, this liter was AED 7 here, approximately $1.90 USD. Just another odd thing I’ve found here…… carry on. Loving the blog! It’s so fun and interesting. Well, it’s been interesting to me – and you know I’m *such* a “sharer” Thanks for stopping by – don’t be a stranger!! First and last thing I do everyday is look for a post from you!! Makes my day!! Sheesh! Girl, SURELY your days are loaded with tons more interesting stuff, aren’t they?? Ah, matters not, I’m just glad you stopped by! I’m enjoying your trip from my recliner! NOW I know what my son experienced when he was over there, both there and Saudi and (8 long nail biting months of Iraq). Please keep up the great reports! Awww….. Becky what I am doing here is *nothing* like what your son went through – but I’m thrilled that you ar enjoying my baby blog. Thank you for stopping by, and next time you slip into your recliner, I hope to have something new for you to read! Don’t be a stranger! 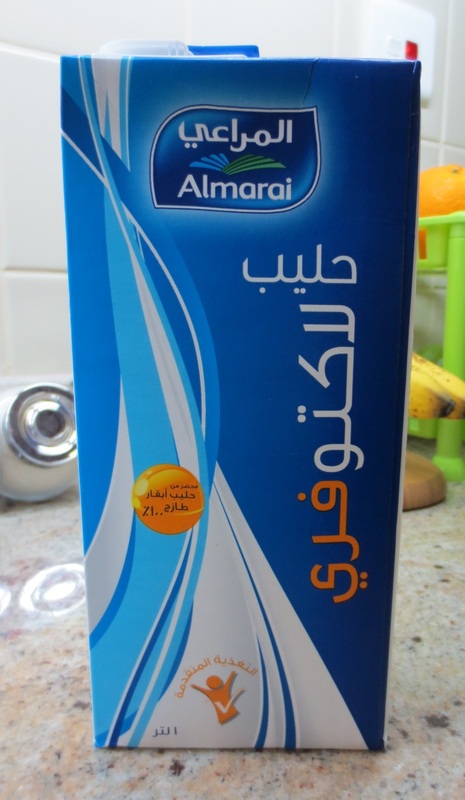 Camel’s Milk?!?! Freaky stuff! And you Know I made the pics big trying to find it! 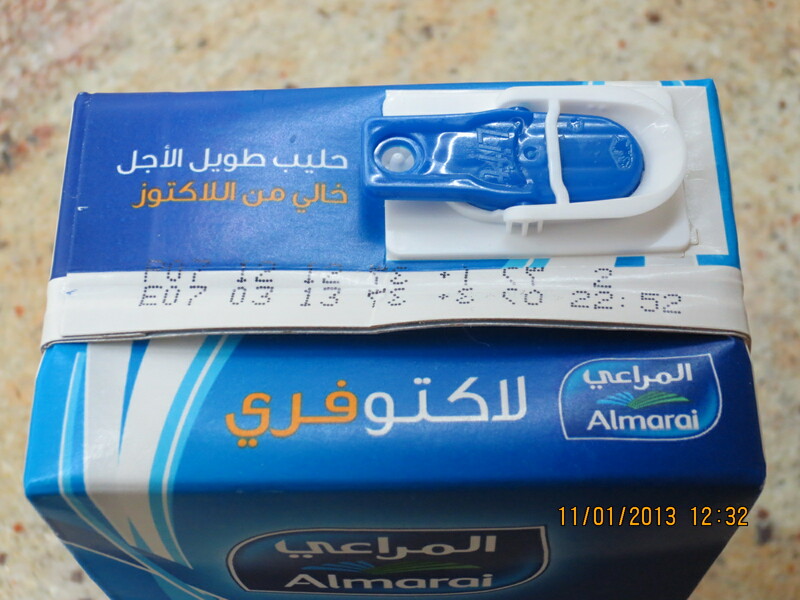 Well, I guess if you live in the land of camels you find their milk on the grocery shelves. Thanks for doing this blog so we can all live vicariously through your adventures! 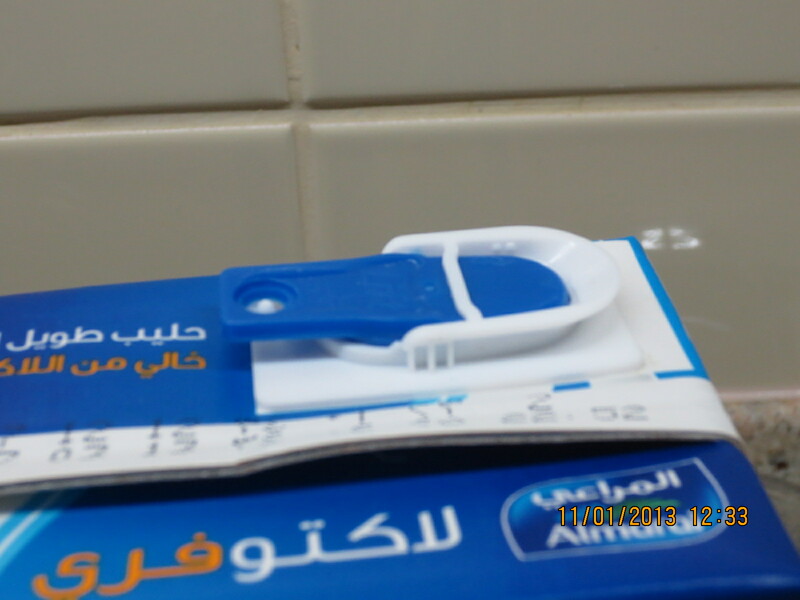 LOL…..I think the camels’ milk was actually in the cooler thing, IIRC. still was pretty dang odd to me! Thank you for following along on our adventure. Wait till you see what experiences we have coming up! Hmmmm…. insaneety I will happily check local groceries on my rounds for you – if I had to hazard a guess, it would be Spinney’s or LuLu’s. But I’ll keep an eye out – I don’t recall which specific store had the Hazelnut milk but will look! Thanks for following along. Thanks a lot! Will check Spinney’s & Lulu’s ! OK, Spinney’s has a “hazelnut” flavored milk… but upon closer inspection, it appears to be a soy milk that’s simply flavored with hazelnut. Or at least that’s what I understood. Hi Debbie. Welcome to Dubai. I was trying to find lactose free milk for my husband but can’t find it anywhere. Wer did u get it from?thanks. Saima – welcome to Dubai! 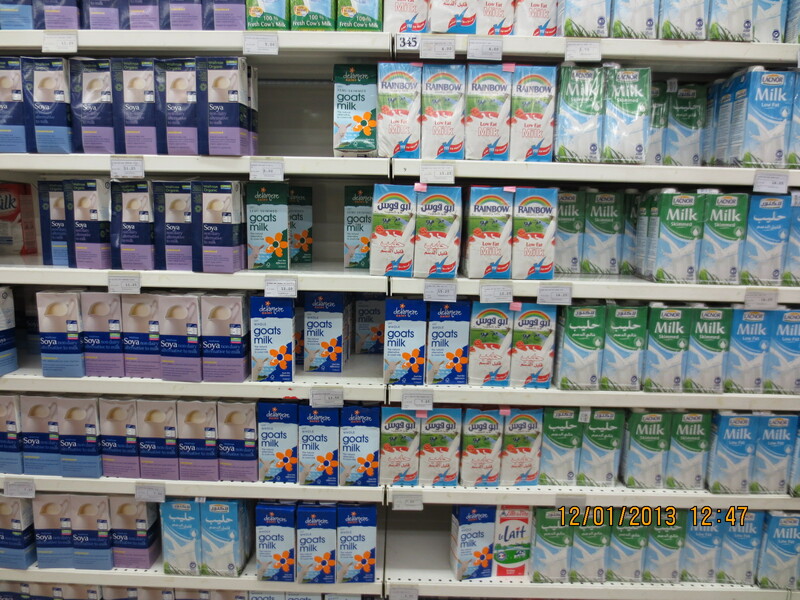 You can find the lactose-free cow’s milk at Spinney’s, Carrefour, Park n Shop, Geants and Choithram’s. I *believe* I have also seen it at LuLu’s, but I can’t swear to that. 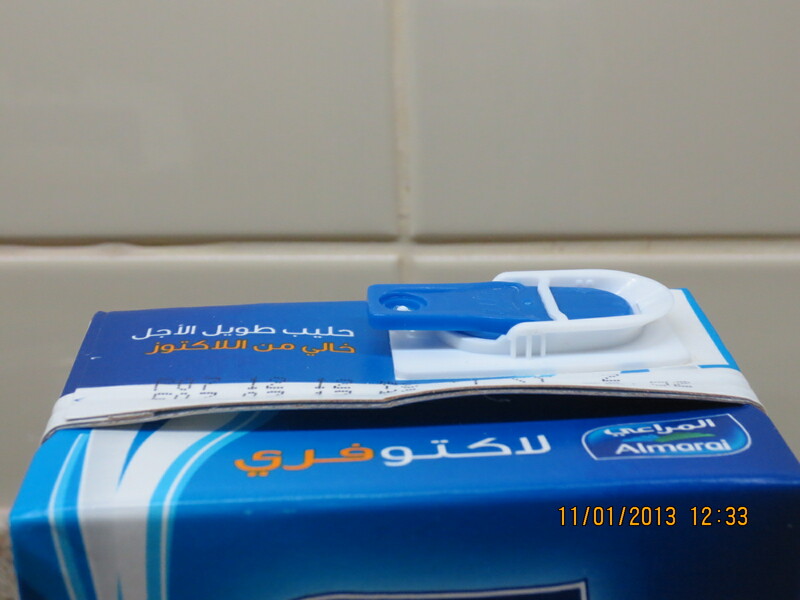 Again, welcome to Dubai, and your husband will really enjoy the flavor of that milk, I was astounded! Oh, and it’s on the grocery shelves, not in the dairy cooler area! Thanks for following along on our adventure. Thanks for ur prompt reply. Hope u hv a great time here. 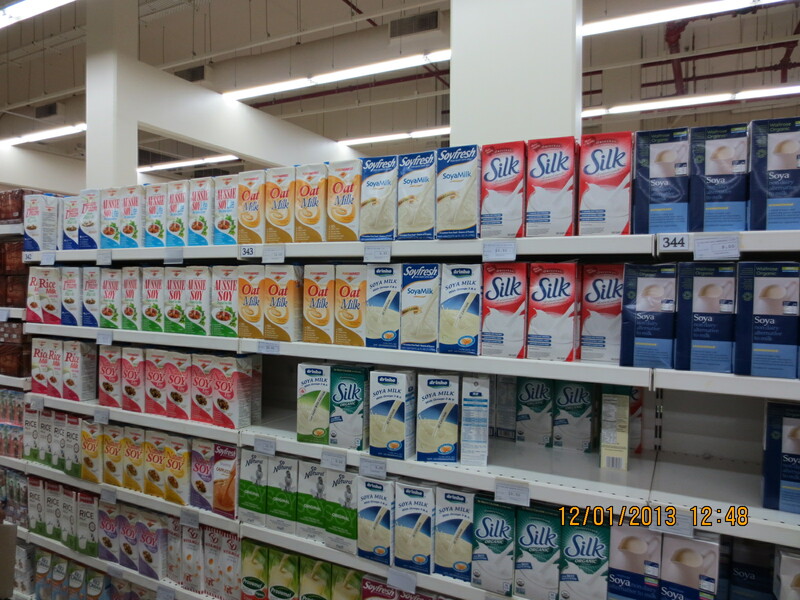 Your article Milk By Any Other Name | Debbie Moves to Dubai write very well, thank you share! Awww… thank you! Glad you enjoyed!